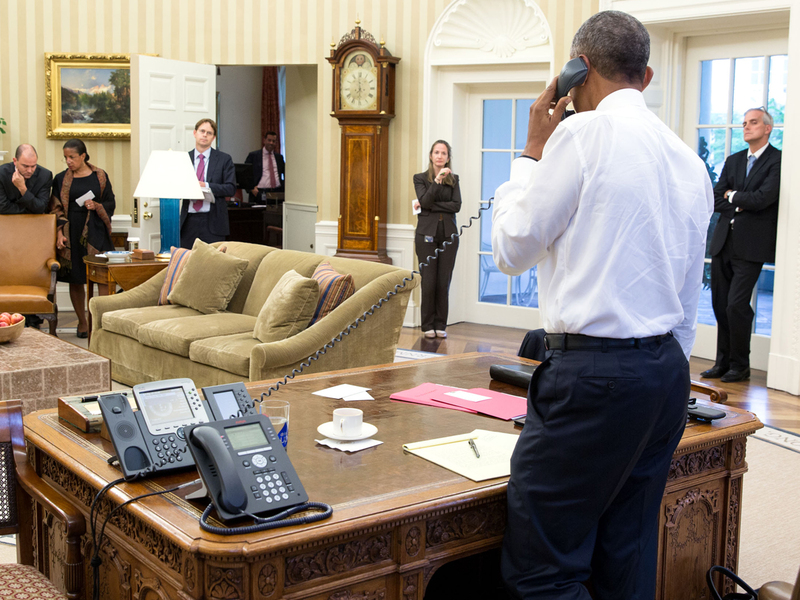 From a recent photo from the Oval Office, we learn that, probably last May, new telephones for non-secure calls have been installed in the White House. They replace older ones, that were used there since 1996. The new devices are IP phones, which means they run over an internal packet-switched IP network, instead of a traditional circuit-switched telephone network. The new device is a dark gray office phone, model 9608, made by Avaya, which is a leading American manufacturer of telecommunications equipment. Avaya was previously part of Lucent Technologies, which was a spin-off of AT&T. This model is relatively simple, it's one that is commonly used in offices all over the world. It just has an average monochrome display - not a fancy color touch screen, like other high-end executive models from Avaya's 9600-series. Although that may look nice, for the president such features would not be of much use, as most of his calls are made through an operator from the White House switchboard. John Kerry. In front of it there's the new Avaya 9608, July 13, 2015. The new Avaya 9608 phone has no special security features, as it is used for all non-secure calls, both within and outside the White House. For secure calls that have to be encrypted, the president uses the other phone on his desk, which is a Cisco 7975G Unified IP Phone (with expansion module 7916). This is also a very widely used high end office phone, and as such not specially secured itself, but here it is connected to the dedicated Executive Voice over Secure IP (VoSIP) network, which connects the White House with some of the most senior policy makers and provides the highest level of encryption. the media in the Oval Office of the White House, June 13, 2016. 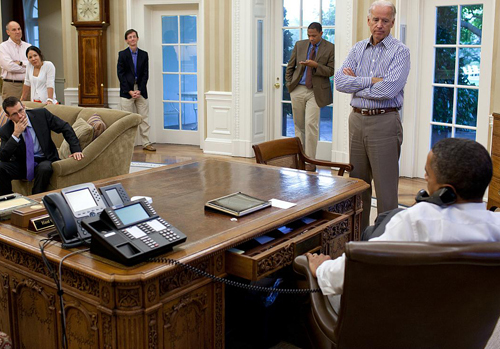 For non-secure calls, the new Avaya replaces the Lucent 8520T on Obama's desk. This Lucent phone was from the most widely used business phone series worldwide. It came in use in 1996, when the White House got a completely new telephone system, which was installed by AT&T and costed 25 million US Dollar. 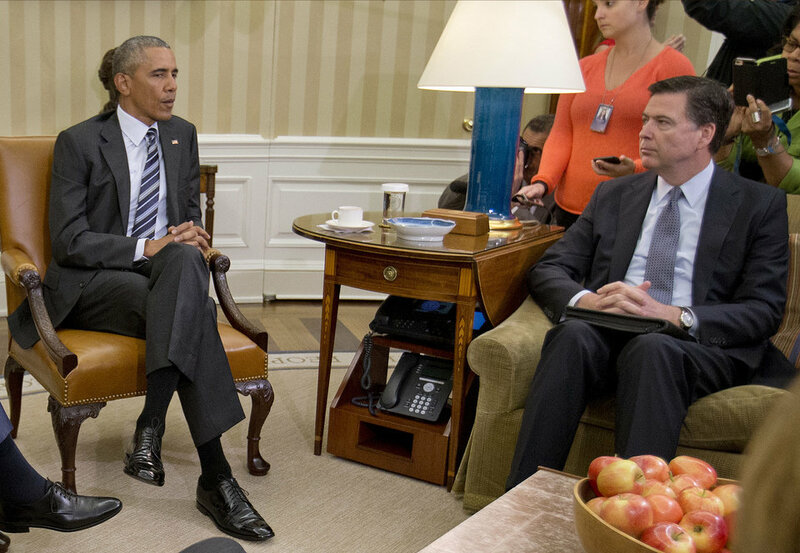 - Does Obama really lack cool phones?